Hybrids and Rescue clubs are often used to replace hard to hit golf irons, typically the 3, 4 and 5. Hybrids are far more forgiving and offer a consistency from the rough which makes them ideal for players working with difficult irons. 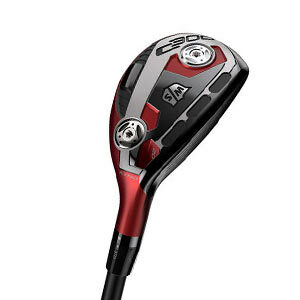 A hybrid can best be described as a golf club that is crossed between an iron and a wood – with dual characteristics. Hybrids have easy to hit properties associated with fairway woods and are built with a larger, more forgiving head like irons. Hybrid are also generally easier to hit from poor lies and rough – freeing the golf ball from tight sports easier. If you would like to learn more about hybrids, such as how to achieve greater accuracy or trajectory, then visit any of our American Golf stores and speak to our PGA Pros, who will be happy to answer any questions you may have. Golfers with a high handicap have at least a 3 and 4 hybrid to replace the 3 and 4 irons as this helps shape shots and correct their trajectory. Unless proficient at striking the golf ball, most high-handicap golfers won’t miss the irons if not in the bag. At this level it’s good practice to use a graphite shaft with regular flex and senior or lady golfers can use the senior (A) flex or L flex, respectively. Hybrids are designed to be easy to hit from the fairway or rough. And seeing as pretty much all hybrids are of high standard, it’s safe to say the decision will be left up to which brand a golfer prefers to have in their bag, rather than whether the golf club can do a good job. Some good all-rounders such as the TaylorMade M4 Hybrid, which benefits from a two-tone crown cosmetic allowing for proper alignment on the most crucial shots into the greens and two internally split mass pads that increase inertia to deliver more golf ball speed across the face, Cobra Golf King F8 Hybrid, providing maximum playability from all lies and having an innovative multi-directional Aero technology crown to generate maximum club head speed, the Callaway Golf Rogue Hybrid, equipped to give players excellent distances and forgiveness, and the Wilson Staff C300 Hybrid will give golfers good distances to suit any high-handicapper. Golfers with a mid-handicap should have no issues using a hybrid club. 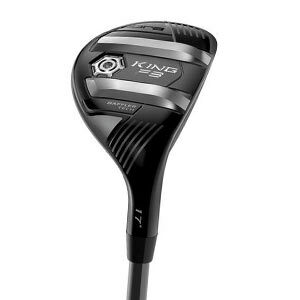 A good idea is to use place a 2 hybrid into the bag, depending on how well it goes fairway woods. 2 hybrids are great alternatives to a 5 or 7 wood model. When it comes to picking shafts. it is up to the golfer what they want, as steel and graphite are the only options here, although steel shafts are preferred due to matching the irons already in the bag, but graphite shafts offer the benefits of being lighter and longer, and can achieve larger club head speeds. Some ideal hybrids for mid and mid/high handicap golfers include the TaylorMade M2 2017 Hybrid, PING Karsten Hybrid, Callaway Golf Big Bertha OS Hybrid and Titleist 816H1 Hybrid. Low handicappers will be comfortable playing their long irons and may see no benefit in trading them in for a hybrid club. There is no hard and fast rule here, so if you’re happy with your current set-up, then don’t change anything and keep on golfing! However, some of the world’s biggest golf professionals have begun to adopt a hybrid golf club into their set on the golf course, replacing their 2 and 3 irons, and this can be a positive change for some players. The higher trajectory achieved using hybrids allows players to execute softer landings than what they would have managed with an iron, so consider this when it's time for a golf club upgrade. A range of high-performance and quality golf hybrids for low or mid/low handicap golfers include the TaylorMade M1 2017 Hybrid, Callaway Golf Apex Hybrid and PING G Tour 90 Hybrid. New season gear and classic models which simply cannot be retired, are available now at American Golf, and we have a wide selection of golf hybrids old and new to meet your requirements on the golf course. We stock golf hybrids from the largest brands in the world, including TaylorMade, Titleist, Callaway, PING, Wilson Staff, Mizuno, Benross, Fazer, Wilson Deep Red, Yonex, US Kids. Golf drivers are all about the distance and power of a shot, fine-tuning trajectory and achieving excellent accuracy on the greens. Good knowledge of golf drivers will help improve player performance, while understanding loft and shafts can also add more experience to a players’ performance.